“Welcome home” are some of the first words you will hear when you arrive at CDF Haley Farm. It is home to the children’s movement—a place where we come together across generations and geography, ethnicity and experience, religion and race, to forge a stronger, united, effective force for change. 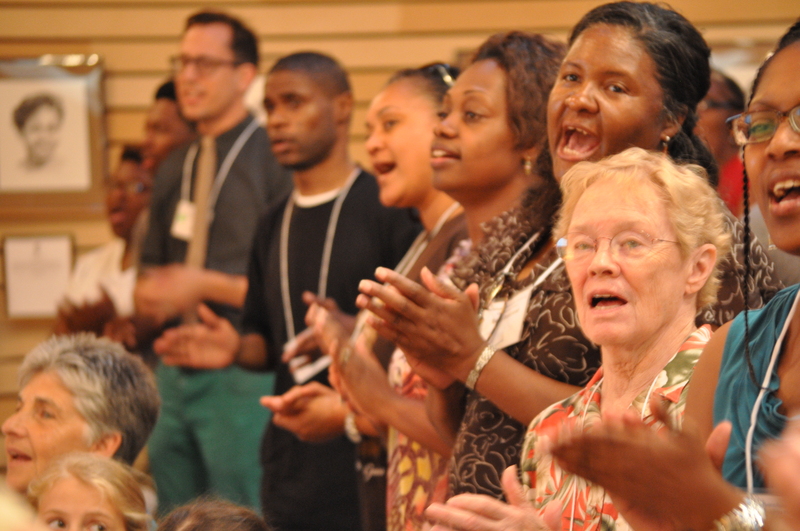 It is home to our Samuel DeWitt Proctor Institute for Child Advocacy Ministry, the Ella Baker Freedom School Training, spiritual retreats and countless other gatherings large and small. It was once home to Alex Haley, author of Roots. And it is a home for you—for all who are determined to work together to transform our nation’s priorities, revive our communities, improve the lives of children, and build a nation worthy of its children. We can’t wait to welcome you home. Every movement needs a home. CDF Haley Farm is the home to our Leave No Child Behind movement. CDF Haley Farm is a vibrant training ground and place for spiritual renewal and intergenerational, interdisciplinary, interfaith and interracial communication to prepare new leaders for children and families in poverty. Movement building requires persistence. It is hard work, often lonely or discouraging. 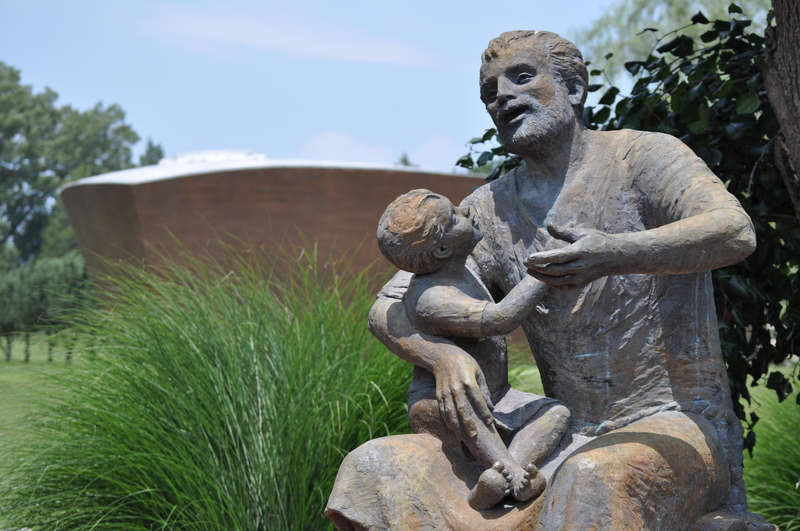 CDF Haley Farm is a place to revive our spirits, listen deeply, learn from those who know struggle first-hand, exchange ideas, develop new strategies, equip ourselves for justice-work and leave renewed and ready to continue working to improve the lives of children. Movement building requires that we know where we’ve been to understand where we are and how we should chart the way forward so that every child has a life of freedom, justice, and dignity. CDF Haley Farm connects young leaders and activists with the courageous heritage of the struggle for freedom. It is an incubator of nonviolent direct action organizing, connecting freedom movements from abolition to civil rights to dismantling the Cradle to Prison Pipeline. 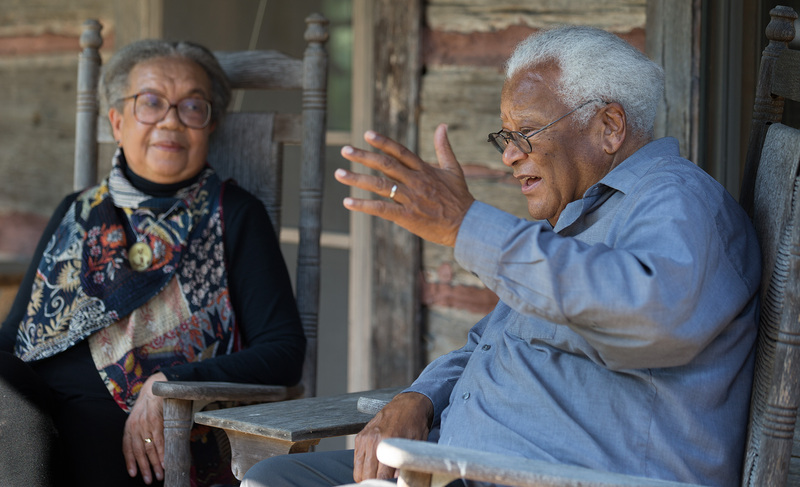 At CDF Haley Farm we are immersed in this history, whether hearing first-hand from movement leaders or engaging in conversation on the porch in one of the many rocking chairs bearing plaques memorializing or honoring historic icons and unsung heroes. Movement building calls us to work across boundaries, build community, share a vision and amplify our voice. 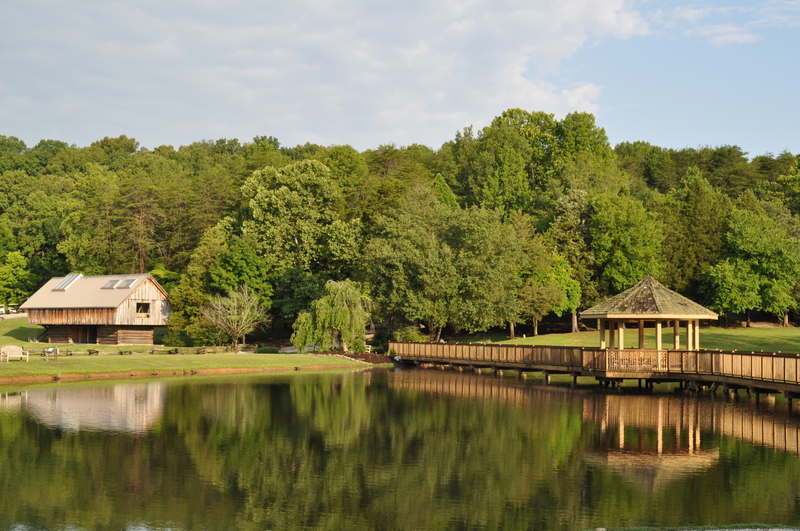 CDF Haley Farm is where policymakers, organizers, young people, servant leaders and others come to connect, brainstorm strategies and recharge their spiritual and physical batteries. Gathering across generation and geography, ethnicity and experience, faith and family structure, orientation and identity, race and religion, the people at CDF Haley Farm experience the beloved community Dr. King envisioned, which our work seeks to realize for every child. We invite you to visit this sacred space. Since we first opened the Haley Farm gates for our Homecoming Celebration in 1994, we have welcomed tens of thousands of young people for Freedom School trainings, deepened and inspired the faith-based child advocacy work of thousands of religious leaders, seminarians and community organizers, convened children’s authors and librarians to expand diversity in children’s literature, hosted the Council of Elders for strategizing among young activists and civil rights veterans, convened working groups for the Black Community Children’s Crusade, incubated the work of authors resulting in books and much, much more. Luminaries who have walked the paths, graced the podium, rocked on the porches and conversed over meals at CDF Haley Farm include Michele Alexander, Maya Angelou, Dr. James H. Cone, Dr. Fred Craddock, Dr. John Hope Franklin, Dr. Vincent Harding, Dr. Dorothy Height, Rev. Jim Lawson, Wynton Marsalis, Toni Morrison, Bryan Stevenson, Ambassador Andrew Young, Rev. C.T. Vivian and many more. The Children’s Defense Fund purchased the 157-acre farm from the estate of the late Alexander Murray Palmer Haley in 1994 as a center for character and servant-leadership development, community building, intergenerational mentoring and interracial and interdisciplinary communication. The inaugural public event was the CDF Haley Farm “Homecoming” celebration, attended by hundreds of child advocates, CDF supporters, leaders and luminaries. Our first Institute for Child Advocacy Ministry (renamed in honor of Dr. Samuel DeWitt Proctor after his death in 1997) was held the following July. 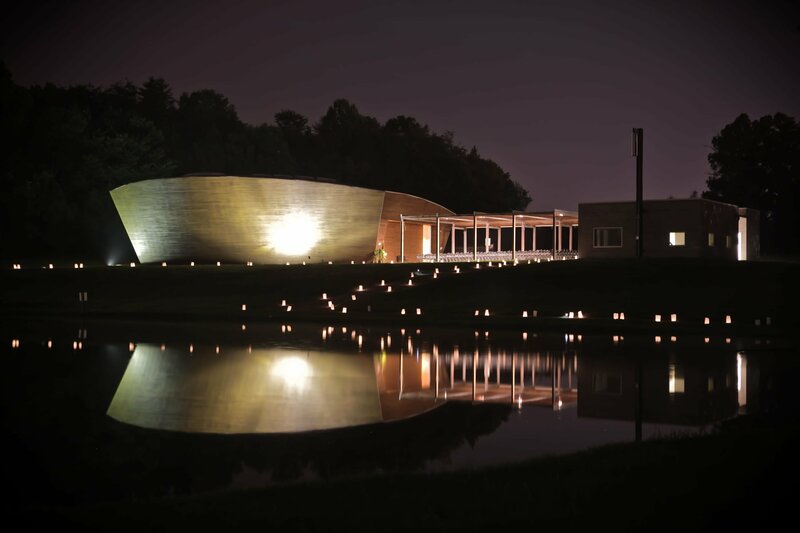 Other landmark events include the dedication of the Langston Hughes Library in 1999, convening the Black Community Crusade for Children (excerpts of the proceedings were published in Rekindling the Spirit) and the dedication of the Riggio Lynch Interfaith Chapel in 2003. Alexander Murray Palmer Haley was born in Ithaca, New York, on Aug. 11, 1921. He was the oldest of three boys born to Simon and Bertha (Palmer) Haley, both teachers. He lived in Henning, Tennessee as a child, and later served on the Coast Guard for 20 years, first as a mess boy and then as a journalist. Alex Haley received countless rejection slips from publishers before his first major work, The Autobio­graphy of Malcolm X, was published in 1965 and eventually sold millions of copies. When Roots was published in 1976, it became a literary and cultural phenomenon and sold more than one million copies in its first year alone. It was translated into 37 languages and won a special Pulitzer Prize and National Book Award. The groundbreaking TV miniseries based on the book attracted more than 130 million viewers. When Alex Haley purchased the farm on June 19, 1984, a dilapidated white farmhouse and cantilevered barn were the only two structures on the property. He and his wife oversaw the renovation of the farmhouse as well as construction of other buildings on the property. The first new buildings were Hill House, where Mr. Haley lived, and Haley Lodge which accommodated the many guests Mr. Haley hosted—from local teachers to celebrities like Quincy Jones and Oprah Winfrey. Mr. Haley loved to entertain, especially people from the movie and publishing industry whom he felt seldom had the opportunity to experience a farm’s country atmosphere. For these parties, Mr. Haley had the pond stocked with catfish for guests to fish, and his staff would prepare a catfish fry in front of the barn using large black iron pots set on bricks and bubbling with beans, hushpuppies, catfish and corn-on-the-cob. A band might be playing from the gazebo and wagons hooked up to tractors for hayrides would circle the farm. Alex Haley died on February 10, 1992. His body is interred in the front yard of his boyhood home in Henning, Tennessee. CDF Haley Farm welcomes thousands of people each year in gatherings large and small, and we’d love for you to join us. Check out the Events Calendar to see what we have planned. CDF Haley Farm is available for rent, schedule permitting, to organizations and for gatherings in keeping with our mission and purpose. It is also possible to arrange for a brief visit and tour for individuals or groups by arrangement with CDF Haley Farm staff. If you are interested in arranging an individual or group tour of Haley Farm, please contact CDF Haley Farm at (865) 457-6466 or cdfhaley@childrensdefense.org to learn more. We purchased the former Alex Haley Farm to create an ideal setting for spiritual renewal, leadership training and character development. 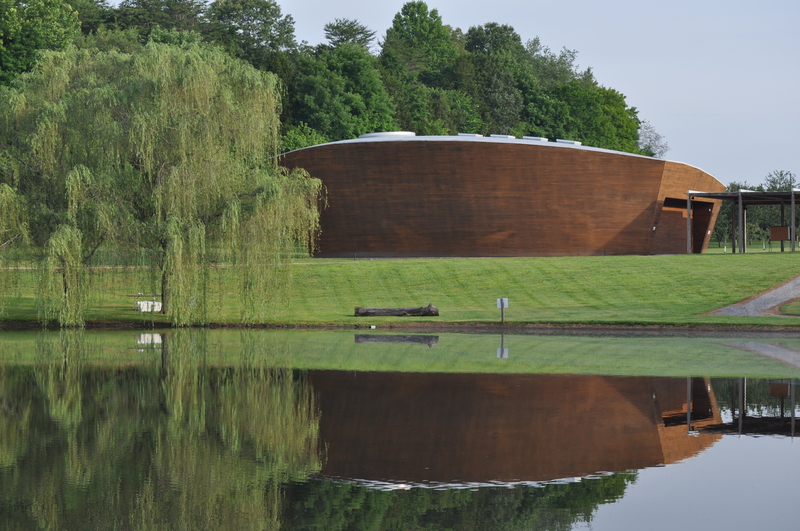 We host organizations that commit to play a role in the our mission, and that agree to keep CDF Haley Farm as a smoke-free, drug and alcohol-free, violence-free, hate-free and loving environment, indoors and outdoors. If these values align with yours, CDF Haley Farm may be available for your event. Many organizations rent the Farm for one day, others for multiple days. On the Farm, our Haley Lodge seats 85 for meals or 100 theater-style. The Riggio-Lynch Chapel seats 250. Three other buildings offer space for smaller groups. We also have housing for 40 and several nearby hotels can accommodate larger numbers. Please contact CDF Haley Farm at (865) 457-6466 or cdfhaley@childrensdefense.org to learn more about scheduling your organization’s event, including rates and availability. Bring the incredible spirit of this place to your community. Take action in your community, applying the skills, strategies, information, and inspiration you gained while on the grounds. Additionally, you can bring some of the CDF Haley Farm experience back with you through video and audio recordings of sessions at CDF Haley Farm, books related to our programming, and gift items with CDF Haley Farm images. All of these items can be purchased through our online store.